[It’s hot] and we all scream for ice cream! During the spring and summer months in our beloved New Orleans, we’re basically all in it together…just trying to stay cool. Some prefer the AC while others jump in the pool. Some prefer a cold beer while others sit in the shade. However, we can all agree on the classics. When the days are hot and muggy, there are few things better than an ice cold, delicious scoop of ice cream. Ready to cool down? 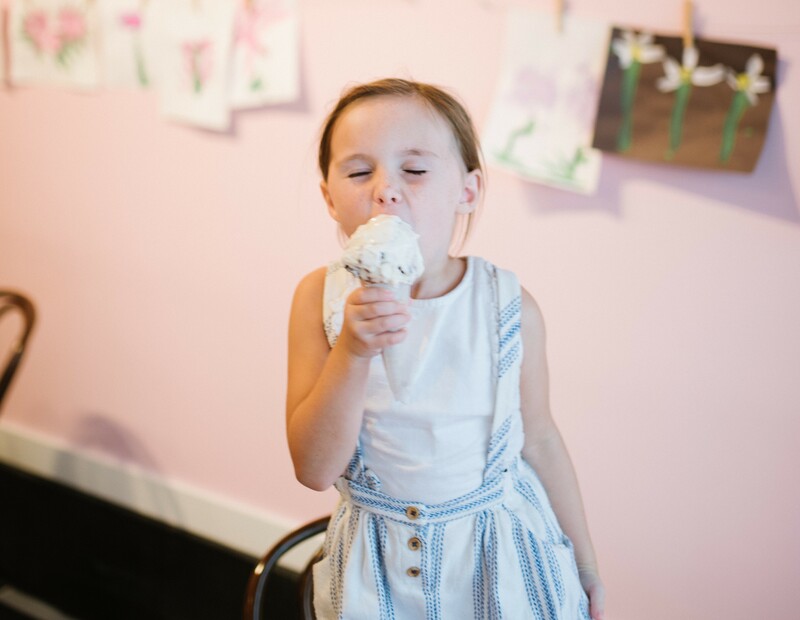 Check out our favorite ice cream spots in New Orleans! With a slogan of “eat ice cream. 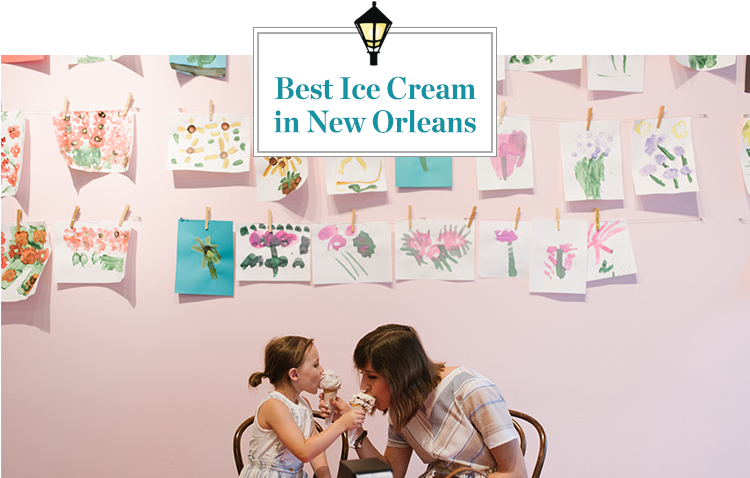 be happy.” we really feel like The Creole Creamery just kind of gets us. They offer nearly 20 classic flavors, over 50 rotating seasonal flavors and 24 flavors of sorbets and sherberts. Even better, they’ve grown to three locations (Uptown, Lakeview and Bay St. Louis) to serve your ice cream needs. If you’re looking for the real classic, look no further. The Brocato family has been running the Angelo Brocato® Original Italian Ice Cream Parlor for over 100 years (check out the whole story)! They’re most famous for their gelato and cannoli, but their menu is jam-packed with goodness like cakes, pastries and Italian ice. Ice Cream 504 is basically a craft ice cream. Like a hip bourbon or brewery, these guys only make small batches with an old fashioned churn and the freshest of ingredients. Come say hello to owner Michael Southall at their new location on Jena St. right off Freret! While Sucré is perhaps most famous for its decadent macarons, but it doesn’t stop there, its empire has expanded with Salon by Sucré in the French Quarter. This chic spot is fantastic for a scoop of gelato, and it’s tough to turn down pairing it with one of their amazing hand-crafted cocktails. When on vacation, Adam Enterkin and Frances LaMagna came across Thai-style rolled ice cream. They immediately fell in love with it and vowed to bring it back to New Orleans. They believe this freezing style is the best way to get the freshest ice cream, and it’s hard to disagree. They’ve got four locations (New Orleans East, Mid-City, St. Claude and Kenner) for you to get your freeze-rolled fix!